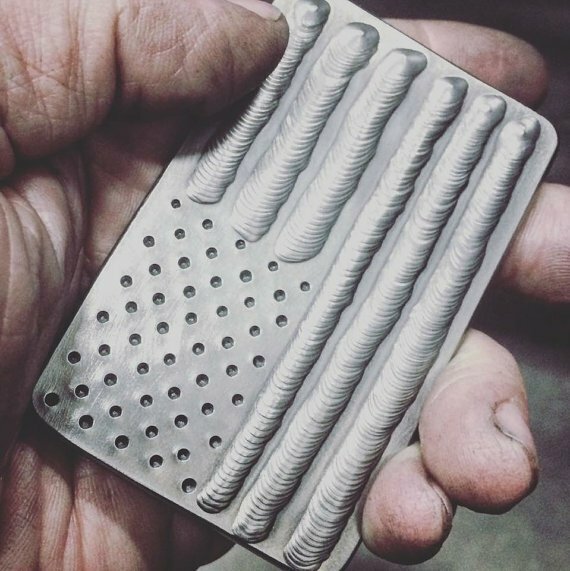 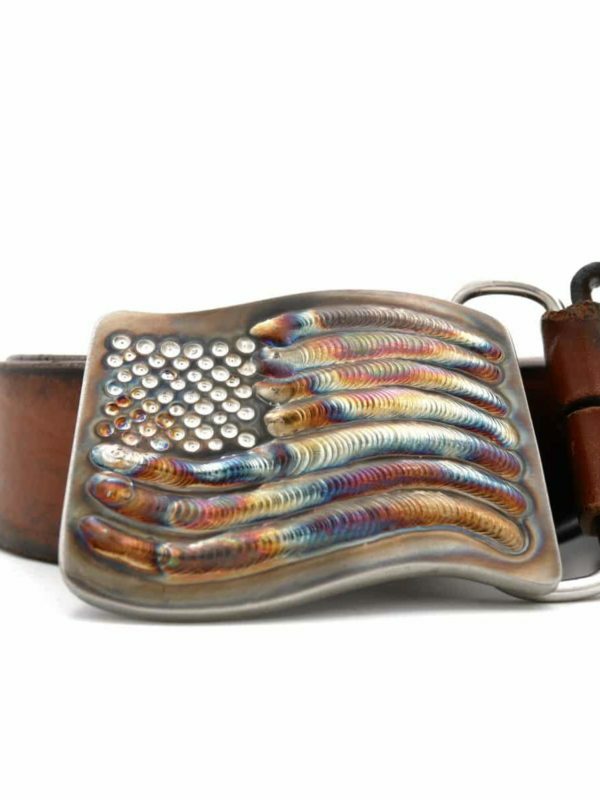 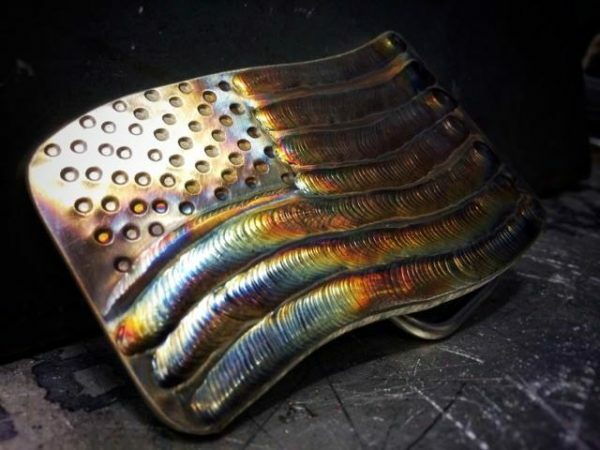 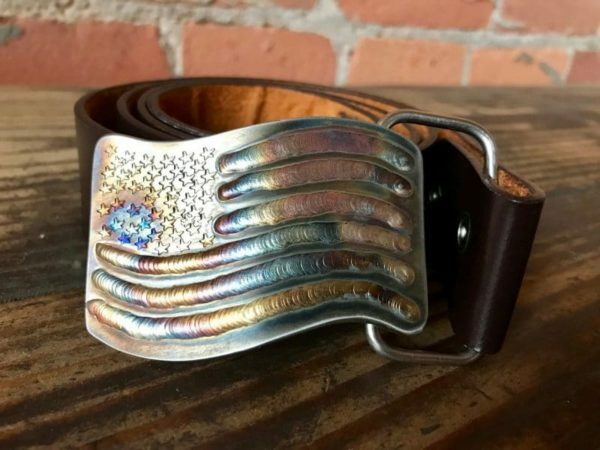 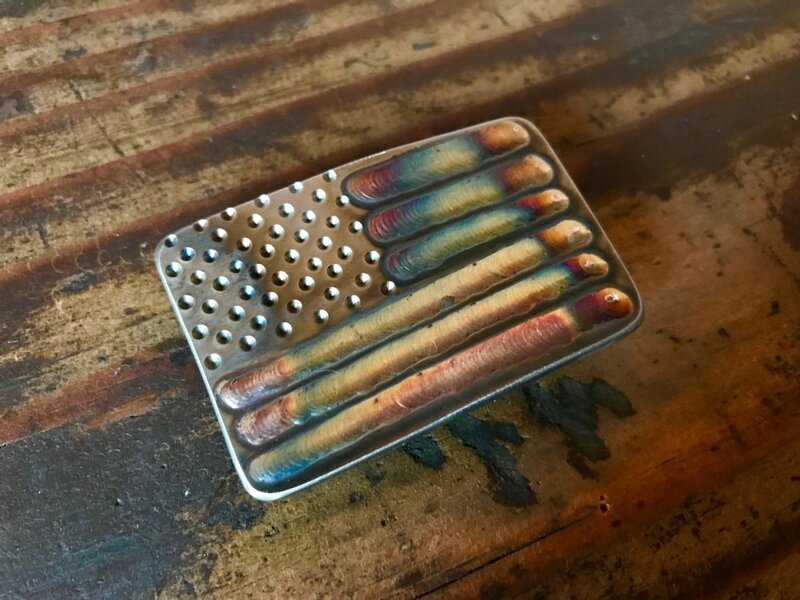 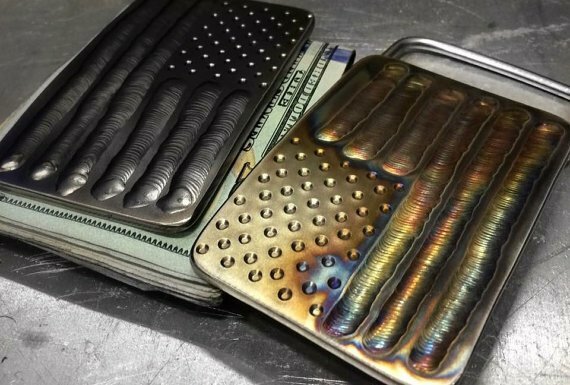 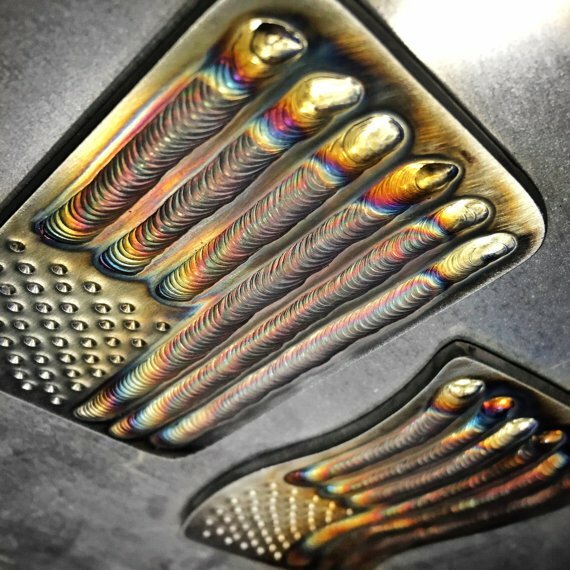 • Handcrafted, tig welded American flag design on stainless steel. 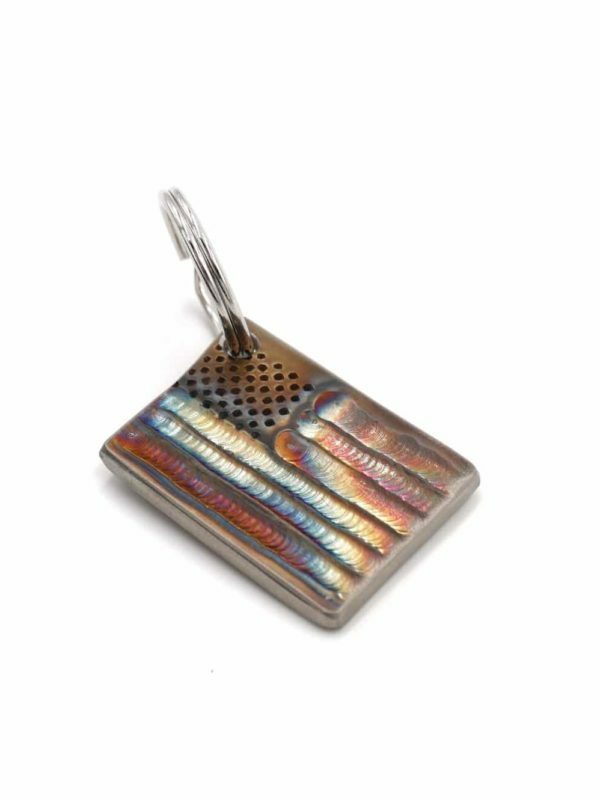 • Each one is a completely unique piece, crafted upon your order of the item. 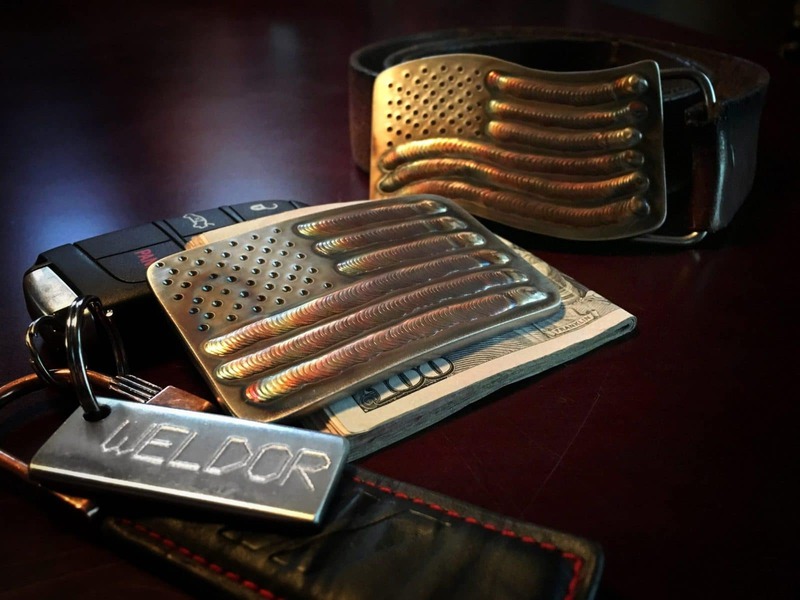 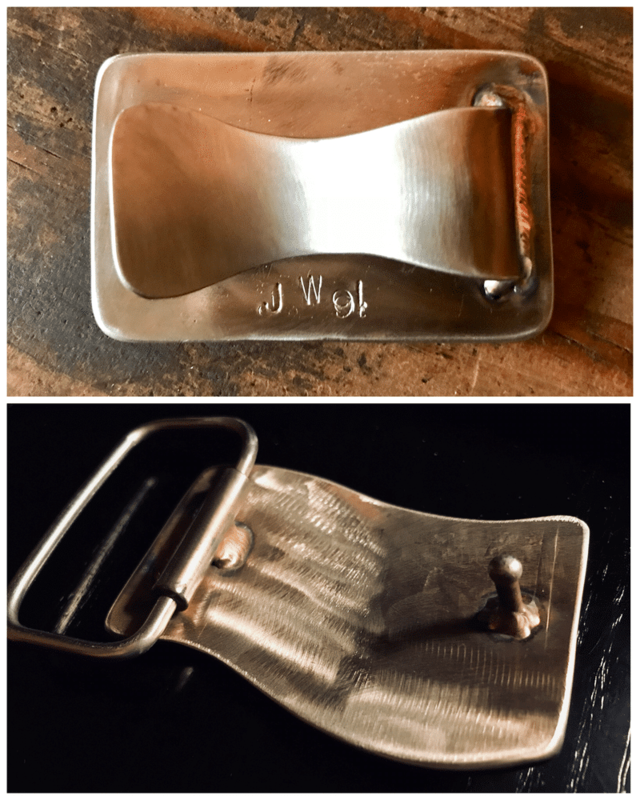 • Buckles measure around 3″ x 2″ and fit belts up to 2″ in width.